We specialize in ecological landscape and site planning. We offer consultation, design and construction services for projects of any scale including LEED and Bay Friendly certfied projects. Sentient Landscape produces effective, resource rich designs that work in concert with the environment. This approach not only saves energy, water and expense, it inspires the community, improves environmental health and resilience, and is a beautiful complement to urban, suburban and rural infrastructure. Recognizing water as a precious and increasingly diminishing resource, Sentient Landscape looks for opportunities to re-establish healthy water cycles and re-charge groundwater. We develop living water systems that emulate the filtering and absorbing qualities of natural water flows. Water will satisfy many functions before leaving your site clean and invigorated. Sentient Landscape projects engender the biological diversity and soil building characteristics of forests, increasing in fertility and vitality as they mature. Evolving irrigation technologies are proving to be highly effective at reducing landscape water use. Sentient Landscape incorporates the most appropriate and affordable irrigation strategies to minimize landscape water requirements. Combining a deep horticultural knowledge and understanding of indigenous plant communities, Sentient Landscape creates site appropriate, whole system planting designs that meet aesthetic objectives while providing valuable resources including food, medicine, shade, fragrance, wildlife habitat, and inspirational beauty. Sentient landscape looks for opportunities to creatively incorporate on-site, local, and low embodied energy building materials. 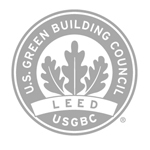 In an effort to minimize carbon footprint, reduce waste and synthetic chemical use, and increase energy efficiency, we have developed a suite of innovative construction details, language, and specifications to effectively meet this challenge. Water features and stonework enrich landscape environments while offering an excellent opportunity to serve multiple ecological functions. Demonstrating this understanding, Sentient Landscape hardscapes harvest water, control erosion, create wild life habitat, and provide passive heating and cooling.